Claire Fontana was born in 1972 in Strasbourg and currently lives and works in Carrara, Italy, where she owns her own foundry. She first studied sculpture and painting during six years at the School of Decorative Arts of Strasbourg before finishing a specialization in sculpture in 1998 at the Academy of Fine Arts of Carrara in Italy. 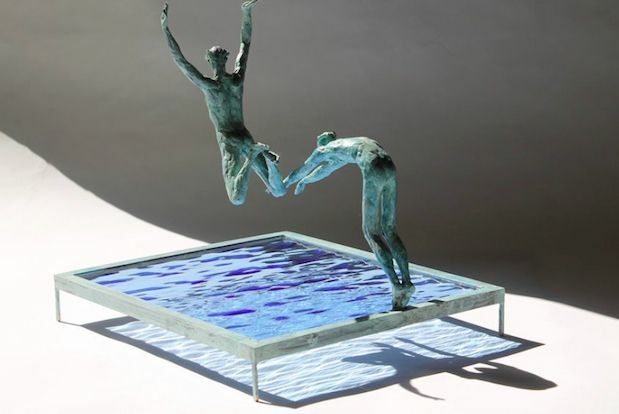 With her own foundry settled, she creates her bronze sculptures there but works as well with glass and stone. From painting and sculpture to drawing, her artistic journey synthesizes as a symbiosis between tradition and innovation peculiar to Italian art. When she uses bronze, her artistic research tends towards the representation of states of mind, and spiritual matters resembling Hellenism. She treats bronze with a certain lightness, in an attempt to immortalize ephemeral events in the very heart of their tension. 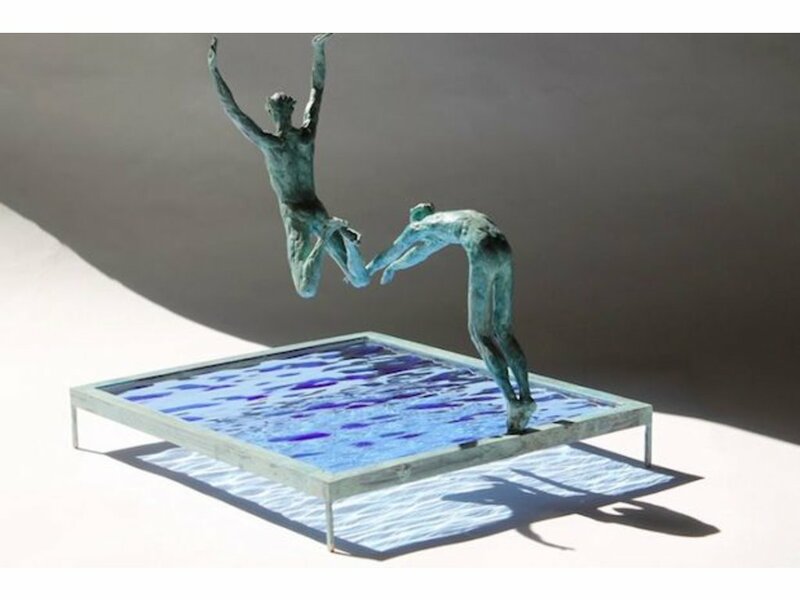 Water is an important element in her work and treated in all its ambiguity, in the sculptures of Claire Fontana, the silhouettes are delicate and depict a certain evanescence of the moment. Claire Fontana has exhibited her work since 1999, mainly in France, Italy, Switzerland and Belgium. She has obtained numerous scholarships, including one from the Palazzo Spinelli in Florence and another one from the Italian Ministry of Foreign Affairs. She also won a sculpture award at the Molsheim Games in France.